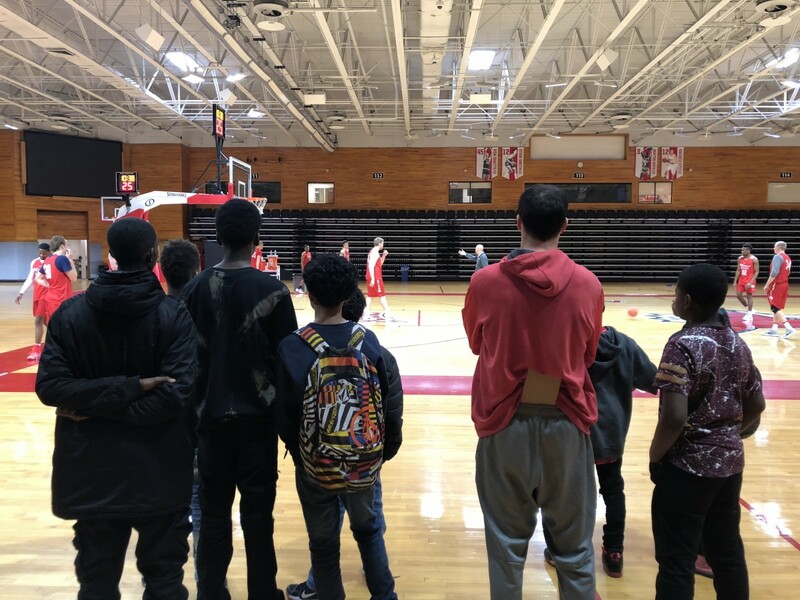 Scott Day, Director of Basketball Operations, took students on a tour of the athletic facility where they saw the film room, locker room, coaches office, and learned about his story. Visit to underclassmen residential hall to view a traditional double and an upperclassmen residential hall to view a suite. 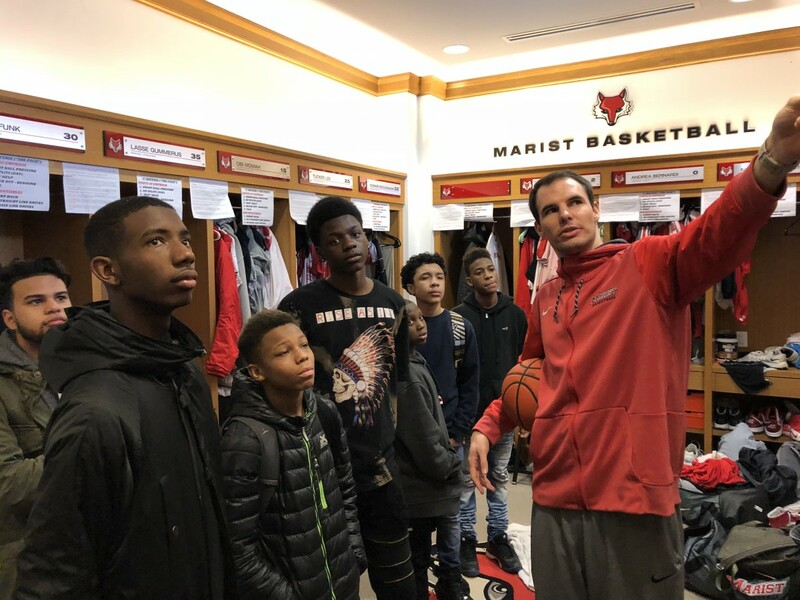 Throughout the tour, current Marist students Gary Coltrane and Gabriel Bautista shed light on their experience transitioning from the Bronx to Marist as first generation college students. Gary shared a traumatic story about witnessing the aftermath of a tragedy. That day, he was shaken up but still decided to go to school. Ironically, it was the same day that we were scheduled to visit Marist College. Gary fell in love with the campus and developed a relentless commitment to get accepted and matriculate at Marist. He is now a junior at Marist majoring in computer science and interning at IBM. Both Gary and Gabriel emphasized the importance of setting high academic expectations and not settling for mediocre effort. They also addressed how pivotal attendance and acceptable behavior is in middle school, high school, and beyond. 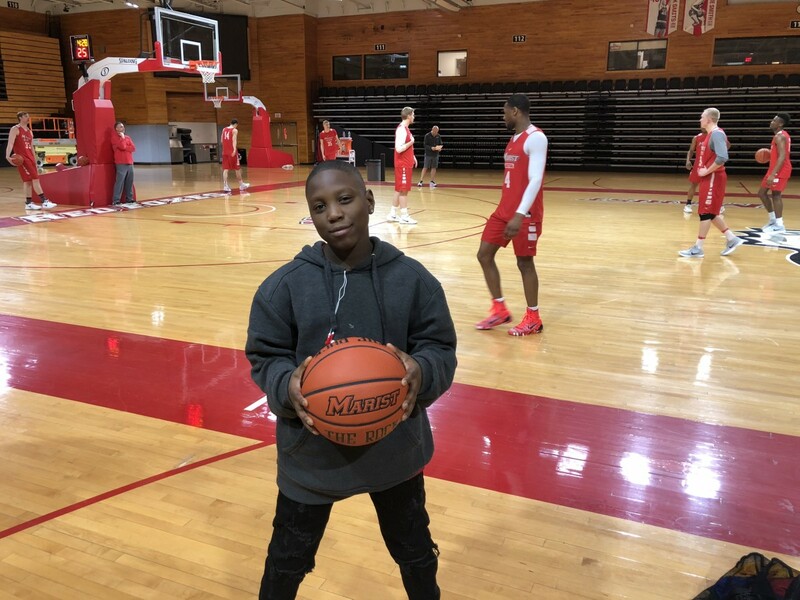 Mr. Sokolinski and School Counselor, Mr. Kareem Donaldson are in the process of working with Gary and Gabriel to develop a partnership with Marist College for a mentoring program.